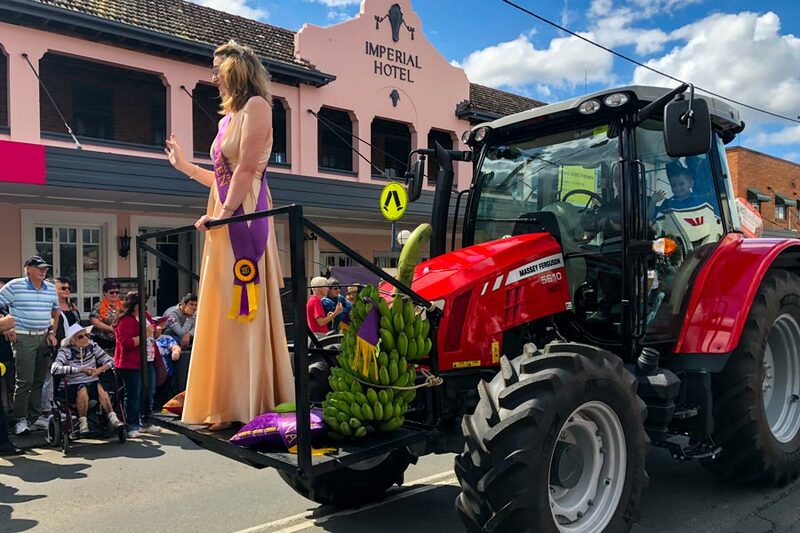 – On Saturday the 25th of August the Tweed Valley Banana Festival returned to glory, with a triumphant street parade once again winding its way through the streets of the Murwillumbah CBD. The local KC Equipment team headed the parade in a shiny red Massey Ferguson tractor, continuing a tradition set by former local AGCO dealer Noel Graham. 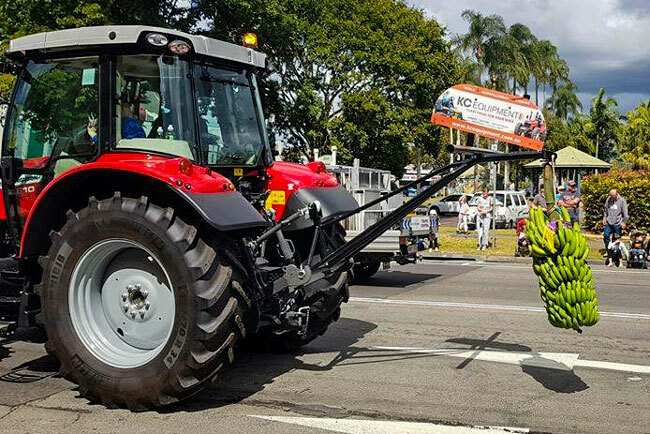 Led by two mounted police, the Massey Ferguson 5610 fronted the parade, carrying with it several royal treasures – the outgoing ‘2017 Banana Queen’ Billie Goodsell, along with this year’s ‘King and Queen Bananas,’ and two award-winning banana bunches. 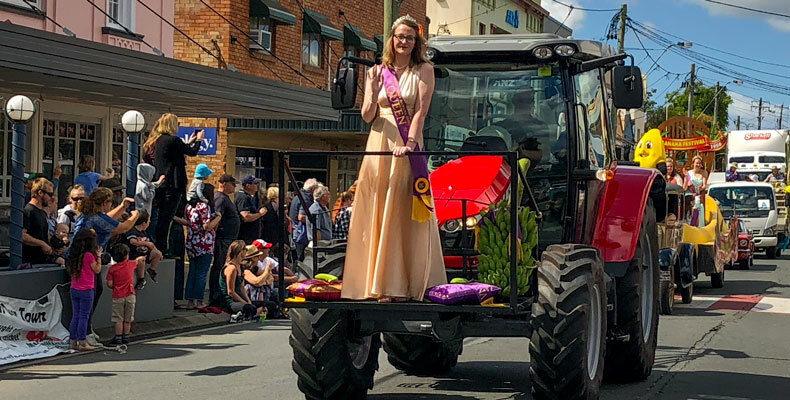 The festival’s ‘2018 Banana Queen’ winners were right behind the Massey tractor, travelling in style in the official banana-shaped banana festival float, fronted by festival mascot Banana Jim. Overall the event was a huge success, and the team at KC Equipment are looking forward to next year’s parade! 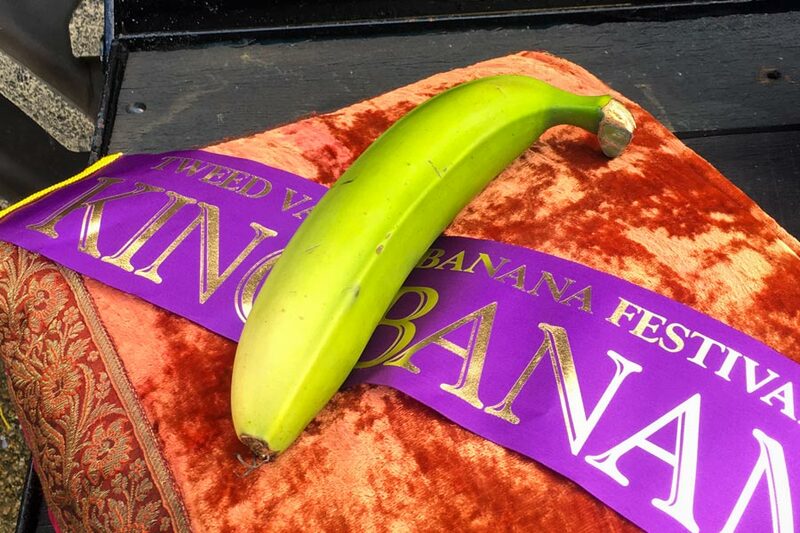 For more information on the Tweed Valley Banana Festival, visit their Facebook page here.